Posted January 7, 2016 by William Martin & filed under Galleries. 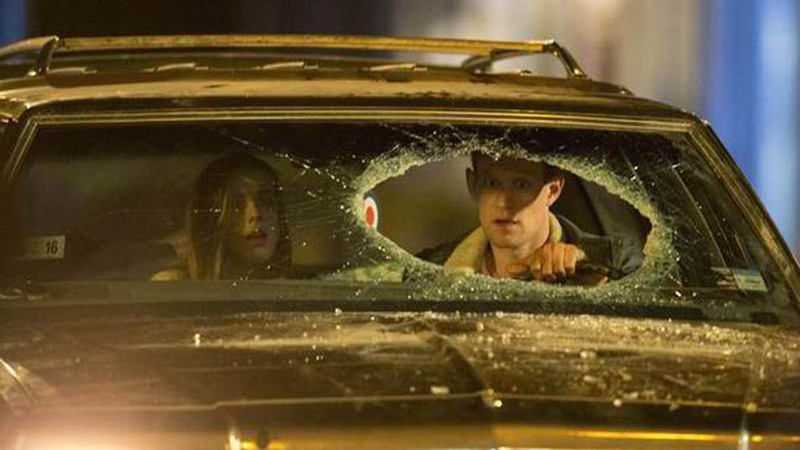 The first official photo from Doctor Who star Matt Smith’s new action-thriller Patient Zero has been unveiled. Smith appears alongside supermodel Agyness Deyn and Stanley Tucci, with Game of Thrones actors Natalie Dormer (Margaery Tyrell) and John Bradley (Samwell Tarly), in the movie about the fight against a global pandemic. Patient Zero arrives in cinemas later this year and is directed by Stefan Ruzowitzky. Patient Zero‘s storyline follows an unprecedented global pandemic of a super strain of rabies that has resulted in the evolution of a new species driven by violence. An inexplicably immune human survivor with the ability to communicate with this new species must spearhead a hunt for Patient Zero in order to find a cure to save his infected wife and humanity. Matt Smith will also be battling the undead in Pride and Prejudice and Zombies this spring, before starring in Netflix’s new Royal family drama The Crown. Is that the book of the same name? I somewhat enjoyed reading it. Hell there was even a big nod to Doctor Who in one of the chapters. I think I saw a trailer for this somewhere too. Looked really good actually and much much better than what the synopsis indicates. I think this could be a genuinely good and creepy film and the cast is top quality. Matt looks the part of an action star – incredibly versatile, isn’t he? Stanley Tucci is always great. He was the best thing in the vastly underrated Fortitude. Nice to see Matt in a lead role too. It’s a huge year ahead for him with this, Pride and Prejudice and also The Crown. The latter is clearly going to be a massive hit given the talent involved but P&P is the one I am most looking forward to. I guess Matt might be heading to the US more now with The Crown likely to catapult him further into the American television and film circuit but there are some great new BBC shows starting filming this year so I am hoping he might be available to star in at least one of those. Good times.